Unknown so far about region coding or encoding, but I'm pretty sure that the DVD will be region 2 PAL, while the Blu-Ray will be in 1080i50hz, but it's not certain yet. Looks like another spectacular BBC Earth offering. They are pretty much peerless as far as these documentary series go. I'll be watching for info on a stateside release. And in response to my own post...coming to BD in North America April 26. 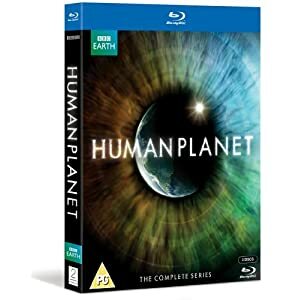 "BBC Video, in conjunction with Warner Home Video, has announced Human Planet for Blu-ray release on April 26, two days after premiering on Discovery Channel. This three-disc BD edition will offer the original BBC broadcast version with over three hours of footage not seen on US television. "Special features will include 100 minutes of making-of bonus content, as well as exclusive BD-Live content." Last edited by Superdaddy; 02-26-11 at 09:01 AM.